Jars easily screw together and are perfect for storage of acrylic powders, liquids, and nail decals. 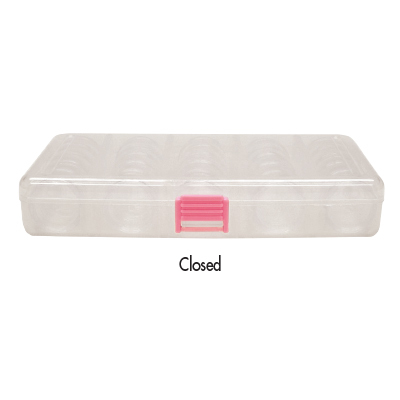 Sets come in a container with a latch closure, making them secure and easy for travel. 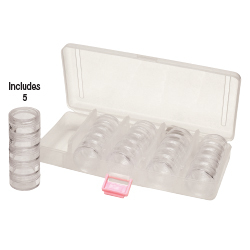 Small stackable jar set contains five, 5-tier stackable jars. 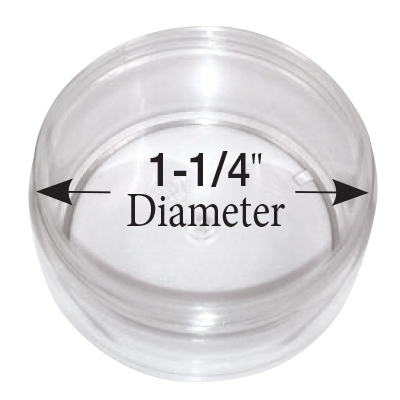 Case measures: 7-1/2"L x 3-1/2"W x 1-1/2"D. Each stackable jar has a 1-1/4" Diameter and measures 3"H.